Shanghai 2012 | Jugendsozialarbeit Schanzenviertel e.V. 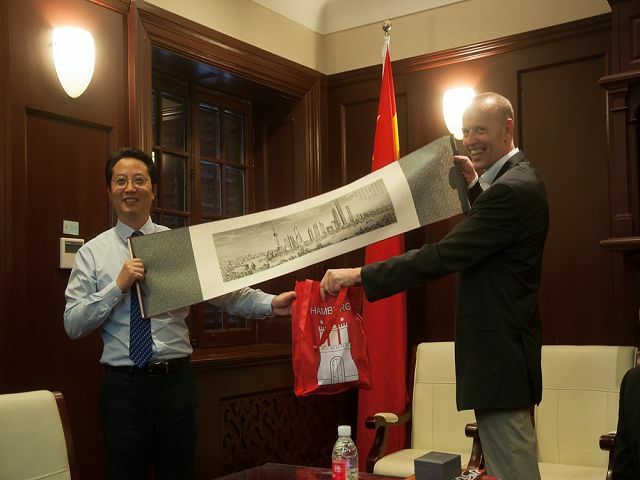 The Shanghai Youth Federation (SYF) and Jugendsozialarbeit Schanzenviertel (JS) has kept good relationship between the sister cities Shanghai and Hamburg. Both youth organizations arranged meetings for delegations of experts in youth work, in Shanghai and Hamburg, to improve the good contact and the knowledge about the situation of youngsters in the partner cities. 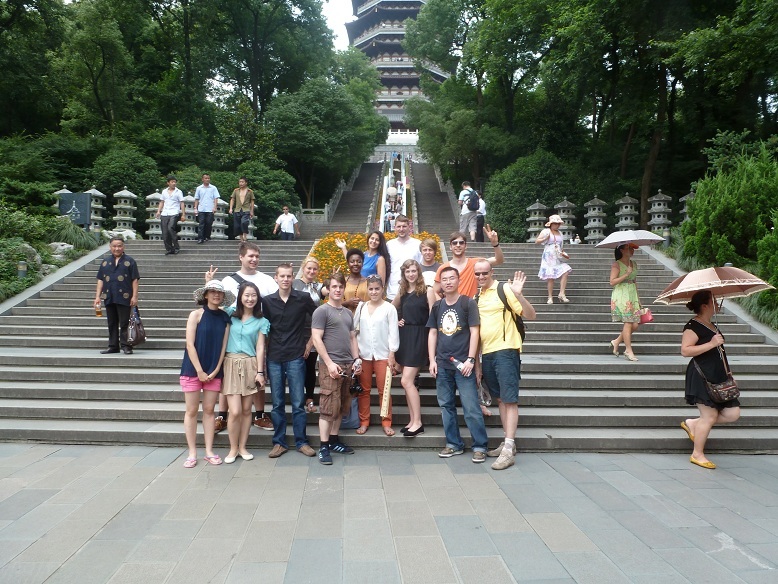 We were very glad, that we got the opportunity to visit Shanghai with a delegation of 14 members, from June 11 to June 16 2012. 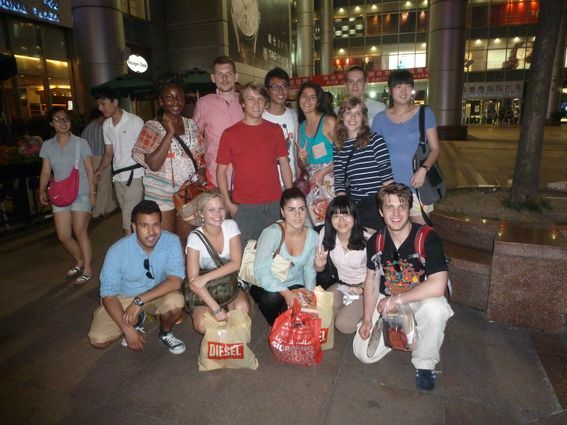 This time we choose a group of youngsters from Hamburg, who had already experience in youth exchange. Many of them are students and are working in different social organizations. The age of the delegation was between 22 and 25. The youngsters represented also different nationalities like Turkish, Polish, Portuguese or African who live in the city of Hamburg. 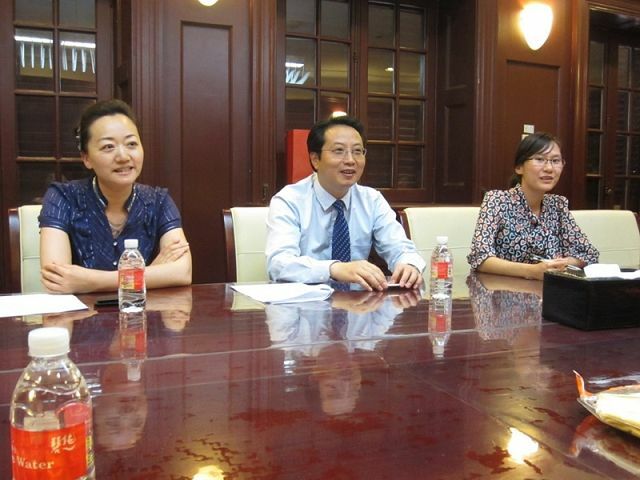 In preparation for the exchange, we had a meeting with Mr. Wang Xiao-Nong, the Deputy-Secretary of SYF, at the German-Chinese Partner conference from 6. to 8.3.2012 in Frankfurt / Germany, were we had the opportunity to talk about the group coming from Hamburg and the coordination of the program in June 2012 Shanghai. After arriving in Shanghai we had an interesting overview of Chinese art and culture in the Shanghai Museum on 11. Juni. Then we were very well received by the Honorable President of Shanghai Youth Federation in the Headquarter. We talked about the development of the exchange between Shanghai and Hamburg and that both cities are glad to have the opportunity to improve their friendship and learn from each other. At the following welcome banquet we were very glad to meet all the delegates, who visited Hamburg in 2011: Mr. Mu Qing, Mr. Yao Qiang and Mr. Zhang Jing Jing. The next day we visited the Shanghai Youth Activity Center with the anti- Drug exhibition hall were we learned how Shanghais tries to defend the risks of drug abuse and to take influence to youngsters in this subject. In the afternoon we met students at the Tongji University. They gave us an interesting overview about the history of the university which was founded in 1907 by Erich Paulun, a German doctor in Shanghai. We had an interesting exchange of information with the students and learned a lot of the live and the situation of students in Shanghai. 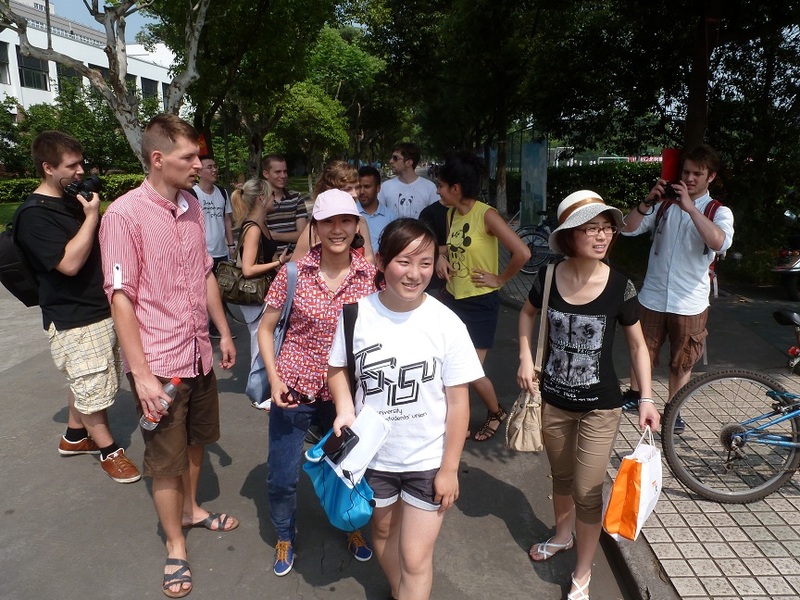 One of the most interesting activity was “ to be a Shanghai youth for one day“ which the SYF organized for us at the 13. June 2012. The youngsters from Hamburg were accompanied by youngsters from Shanghai, who showed us their personal way of live in the city. We saw different places like Chinese markets or an Buddhistic temple and discovered Shanghai in small groups with public transportation. 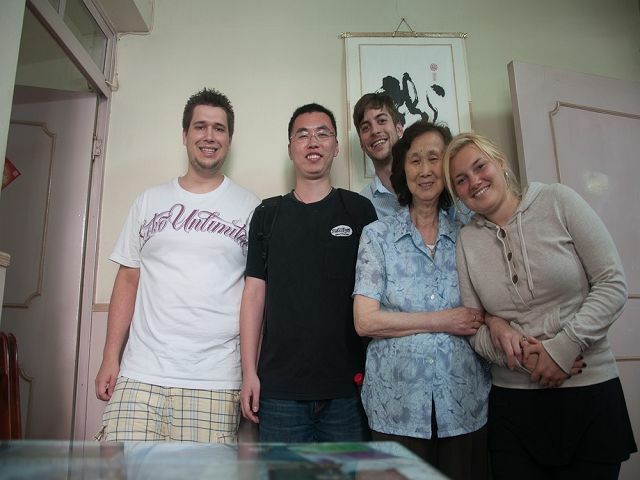 Some of us were invited in a family and were able to participate in the everyday life of a youngster in Shanghai. During this experience a lot of personal exchanges took place and we had very deep impressions about many topics which are important for the live of youngsters in our partner cities. Many youngsters of the delegation from Hamburg noticed that this experience had changed many of their views from China and some contacts were made, which can go on by e-mail exchange. On 14. June the program continued with a visit of the community center of Huangpu district. We saw interesting performances of a singer and dancer group and we were invited to join the Chinese groups in singing and dancing. We also saw a gymnastic group and a parents group participating in activities with their children. Especially for youngsters who want to become social workers in Hamburg it was interesting how a community center in Shanghai is organized. On Thursday 14. June we visited the Shanghai Pearl Tower. We got an amazing overview over the overwhelming skyline of one of the biggest cities in China. Then we visited the history Museum of Shanghai where we got more information’s about the history of the city who always was an important and cosmopolitan city. After this excursion we traveled to Hang Zhou City which is about 190 km from Shanghai. Hangzhou is the capital of the province Zhejiang and has about seven Million residents. Hangzhou, which was called „the most impressing and beautiful city in the world“ by Marco Polo, is deemed to be the beginning of civilization in China. It was also one of the biggest cities in the middle age. We visited the West Lake of Hangzhou, a world cultural heritage, wich is an important symbol for China and pictured at the 1 Yuan note. After visiting the famous Leifeng-Pagode we left to the wetland park of Hangzhou. The excursion to Hangzhou showed the efforts of protecting the history and environment in China. It also gave space of recreation an reflection to the delegation, who was accompanied by Chinese Students who were able to speak German very well. As the exchange program came to an end Mr. Jing Wang, who guides us through the whole program, made an evaluation whit the delegates from Hamburg, to hear their commends about their experiences of the exchange. All youngsters from Hamburg were deeply impressed by the exchange and returned to Hamburg with many new views of China and Shanghai. We had many opportunities to ask a lot of questions about the culture and live in Shanghai and China and had a deep view of the live of youngsters in Shanghai. We appreciated the perfect organization and warm and friendly hospitality of Shanghai Youth Federation and hope we can welcome a delegation from Shanghai next year in Hamburg. Every delegate will be accompanied by Shanghai unversity students for one day. Letting the delegates know more of the youth life in Shanghai. Visit Shanghai Pearl Tower and History Museun of Shanghai, Get the information about the history of Shanghai.